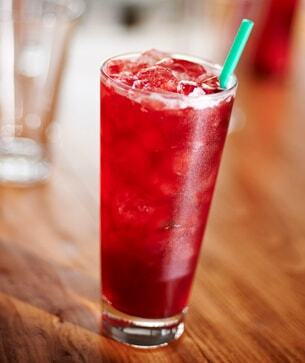 A layered blend of green tea, juicy blackberry, mint, and a splash of lemonade—shaken with ice. The nutritional data for this product is not available online. New Teavana® Shaken Iced Blackberry Mojito Tea Lemonade is here—a limited-time-only blend inspired by our signature Teavana® loose leaf tea. Like all of our iced teas, our new Blackberry Mojito Tea Lemonade is hand shaken vigorously 10 times to mix and unlock all of the unique flavors. It’s a cool, refreshing blast on a warm sunny day.